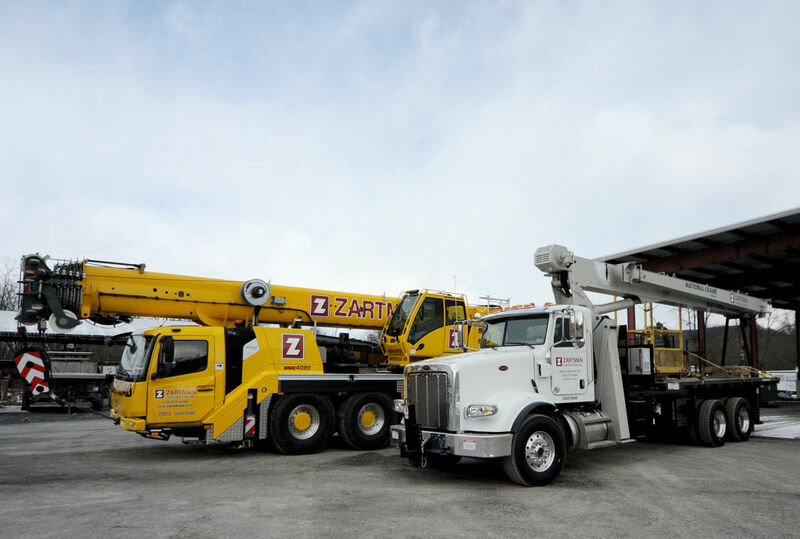 Zartman offers more flexibility with new additions to crane fleet - Zartman Construction, Inc.
NORTHUMBERLAND, Pa. — Zartman Construction is proud to announce two new additions to their crane fleet. The general contractor and equipment rental company recently purchased a 23 ton crane and a 100 ton crane. The 23 ton crane is a National 800D boom truck, featuring a 100 foot, four-section boom. It can reach a vertical maximum of 152 feet and a maximum vertical hydraulic reach with the main boom of 109 feet. It is equipped with overload protection and a manbasket. The 100 ton crane is a Grove GMK4090 all terrain crane, featuring a 167 foot, six-section main boom. It also has a 28.5 – 49.2 feet of swingaway extension. With a minimum width of 9 feet, an overall length of 42 feet and a tail swing of 12 feet it is a compact crane that can fit onto many tight jobsites. It features MAXbase variable outrigger positioning which allows for increased flexibility of set up in congested work areas. 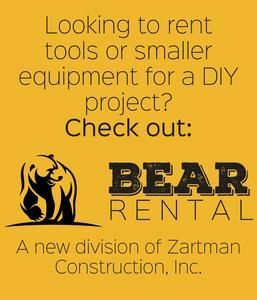 Zartman has a fleet of cranes ranging from 8.5 to 225 ton plus a variety of other construction equipment available for rent. 2019 © Copyright Zartman Construction, Inc.